In this course, visualizing your data is the key focus, and you will learn how to follow proper data visualization styles and enhanced digital storytelling techniques. You will learn how to get your data the way you want – connecting to data sources and how to clean your data with the Power BI Query Editor. You will also learn how to properly design your data model to make your data easier to work with. By the end of this course, you will be confident in creating effective charts, tables, reports or dashboards for any kind of data using the tools and techniques in Microsoft Power BI. This course is for all Excel users and Business Intelligence professionals who want to learn how to correctly work with data, use a variety of data sources, create powerful data models and formulas, and learn to work with the Power BI Service. You will also need to sign up to the Power BI Service, which is also free. Please note that you must use a work email account. Gmail, Hotmail and other similar free email providers can not be used. When you sign up you may get a message saying that your system administrator needs to activate your Power BI account. In that case, please contact your system administrator. You should be able to work with Microsoft Excel or other spreadsheet programs and understand the principles of working with data. 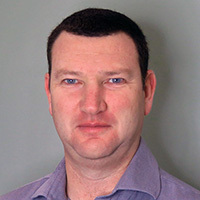 Ian is an international trainer and consultant for Excel Pivot Tables, Power Pivot, Power Query, SQL Analysis Services and Microsoft Power BI. Ian provides affordable skill development with online and classroom training for Excel users who want to learn the powerful methods and techniques to transform data into useful information and intelligence. Ian has over 10 years of experience working, guiding and coaching students to learn the most important aspects of analyzing data using Excel or Microsoft Power BI. Ian has worked online and in the classroom to train over 23000 students around the world. Lab 7: Access via Power BI mobile, Ask Questions of the data, Use the Quick Insight, Connect Power BI and Excel.